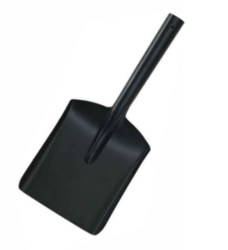 We offer 6 Inch Hand Shovel to our clients. These are manufactured using the best grade factor input to meet the international quality standards. Further, our clients can avail these at industry leading prices. We are offering Hand Shovel to our clients. A shovel is a tool for digging, lifting, and moving bulk materials, such as soil, coal, gravel, snow, sand, or ore. Shovels are used extensively in agriculture, construction, and gardening. Most shovels are hand tools consisting of a broad blade fixed to a medium-length handle. These RD shovel are made from very high quality raw material which ensures high durability. 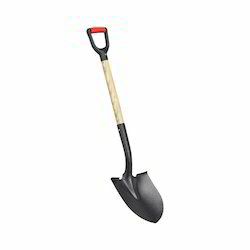 Our RD shovel widely finds its application garden tools. Rd Shovel. We are making high quality coal shoval 4 "